Due to the tragic events that occured on September 11, 2002 in New York City, this tour which was originally scheduled for late October 2001 was postponed for safety reasons - four American airplanes were highjacked and used as physical bombs. 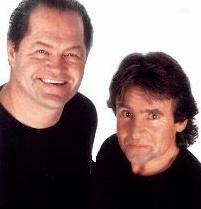 The only Monkees on this tour will be Micky Dolenz and David Jones. Nesmith and Tork have declined to tour the U.K. for 2002.